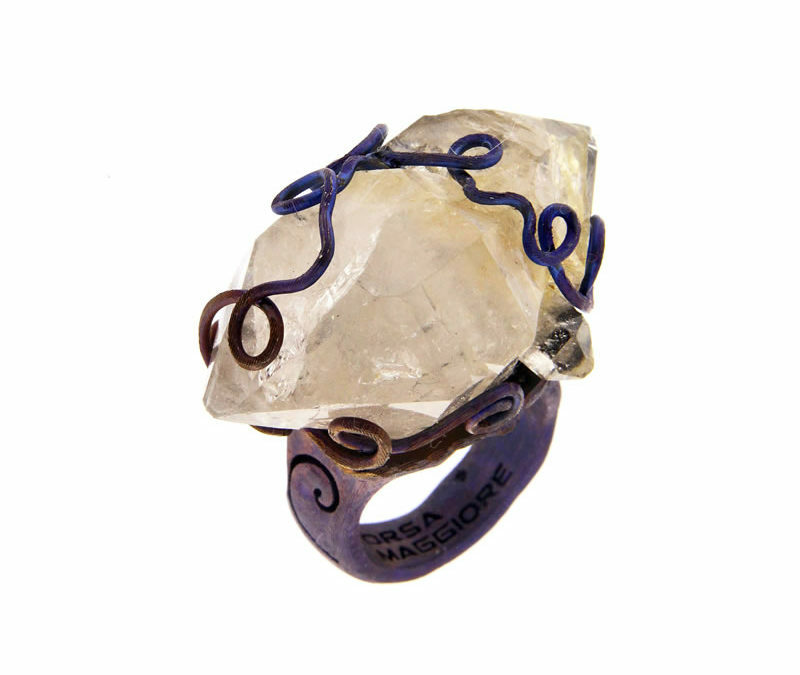 Golden blue satin finish titanium ring with biterminated hyaline quartz crystal in its original crystal form set with intertwined wires. 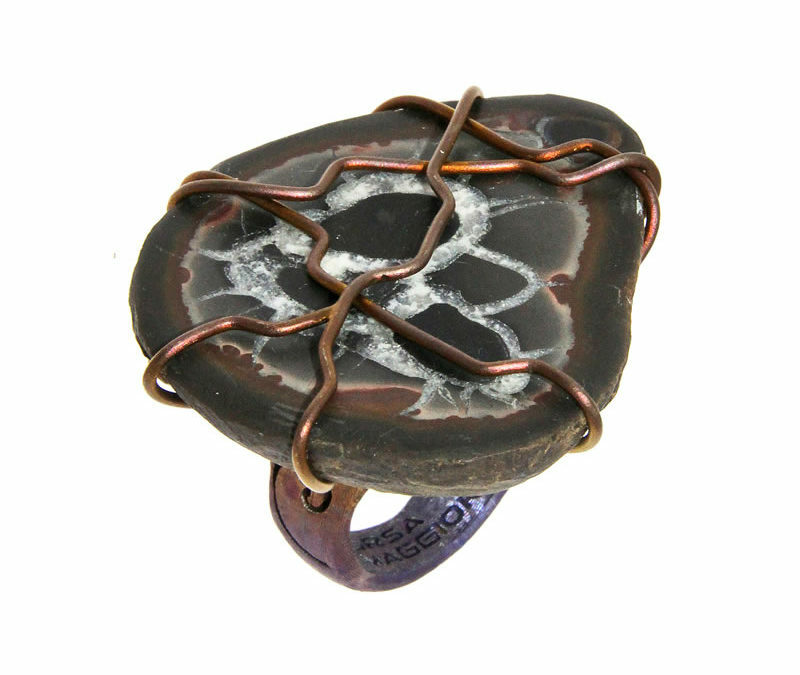 Amber satin finish titanium ring with black septarian set with intertwined wires. 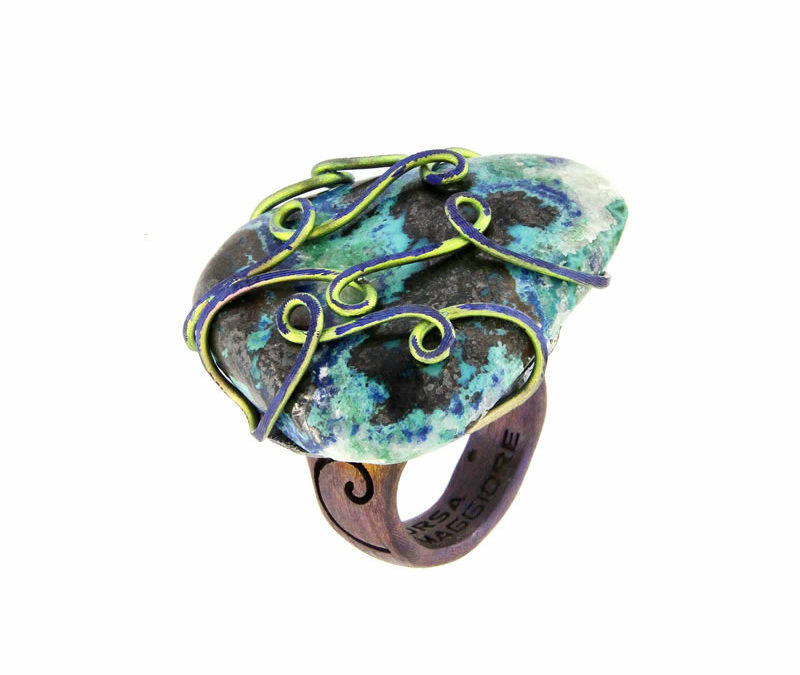 Golden blue green satin finish titanium ring with shaped and polished chrysocolla set with intertwined wires. 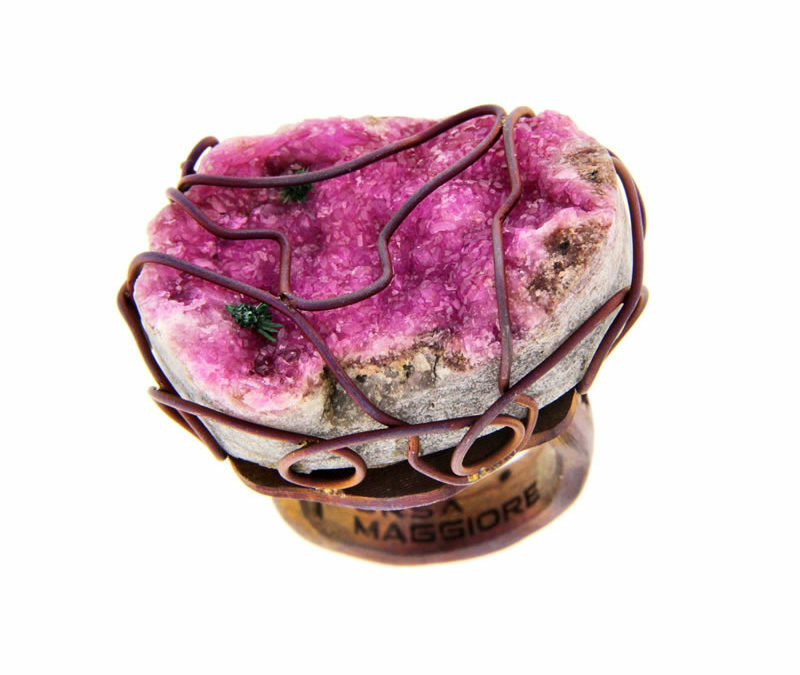 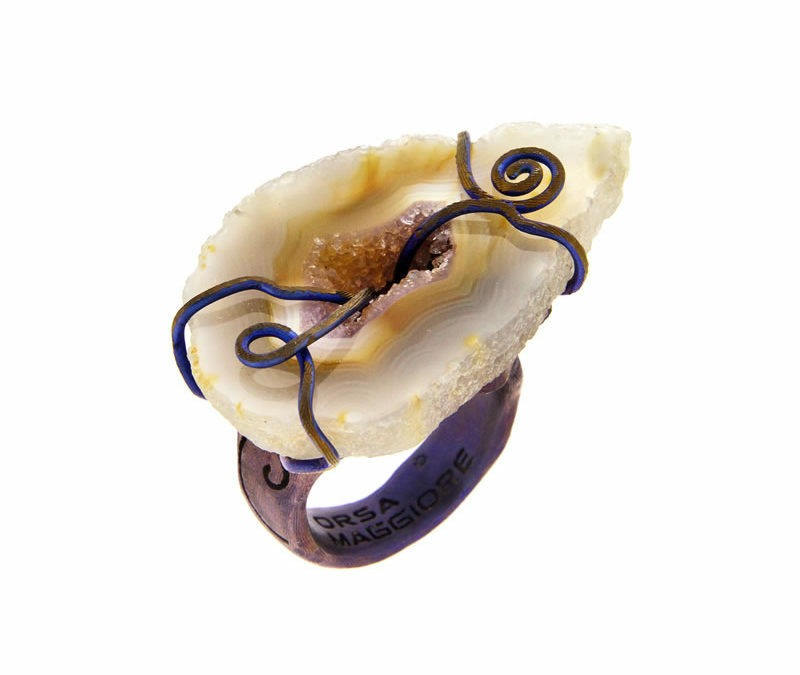 Golden satin finish titanium ring with cobaltian calcite set with intertwined wires. 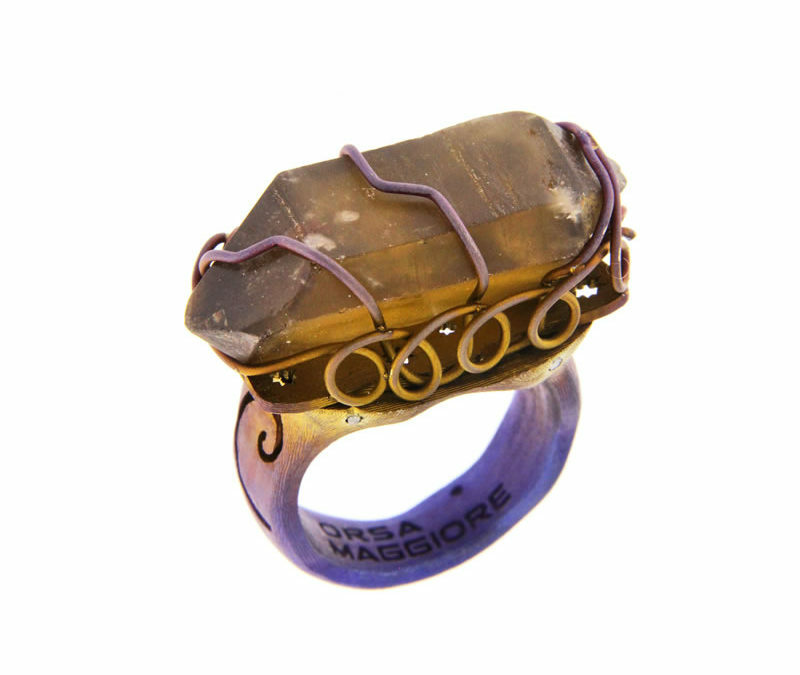 Golden blue satin finish titanium ring with quartz in original crystal form set with intertwined wires.